Property in Dahisar East has many takers. 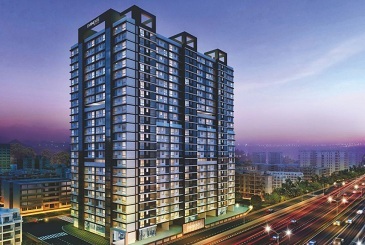 The area falls in the North-Western region of Mumbai and is counted as one of the prime and amongst the most sought after suburb in the city. The area was once popular for film shoots. The railway line divides Dahisar into two parts, East and West. Dahisar East is connected by Western Urban Road. Bhayandar, Mira Road, Dahisar, Borivali, Kandivali, and Malad are its nearby railway stations. Dahisar railway station is however is the closest railway station to Dahisar. Chattrapati Shivaji International Airport falls at a distance of 18.9 km via Western Express Highway. Dahisar East has a network of busses, taxis, autos, and local train that makes commuting hassle free. The area also has many reputed schools, malls, hospitals, cinema halls, restraints etc. that makes living here truly enjoyable.